Basic varieties come in several different colors - red, pink and white. The red is a rusty mix of coppery red with bright pink accents. Pink has beautiful mottled pink, green and white leaves (bright pink in more sun, pastel pink in part shade). White is creamy white mixed with green. 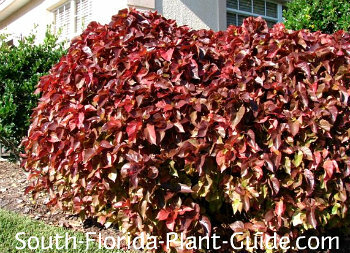 Newer cultivars include smaller-leaved shrubs like 'Inferno' as well as new colors such as showy 'Tricolor' with red, green and yellow foliage. 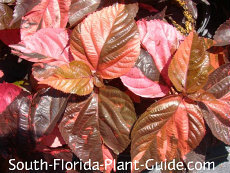 There are also mini-leaf coppers with narrow leaves rimmed with color that have a fine-textured, weepy appearance. If crotons are not your cup of tea, these colorful foliage plants are an outstanding substitute. 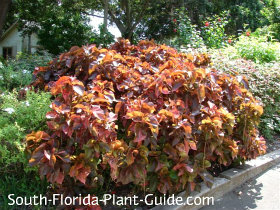 Copperleaf plants like full sun to part shade - and the more sun, the brighter the leaf color. 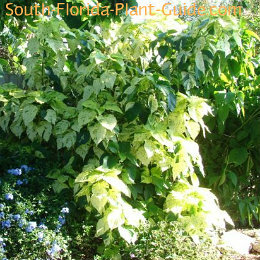 The white variety, however, seems to look its best in part sun to part shade. These shrubs do flower but with narrow, dangling, fuzzy blooms (called "catkins") similar in color to the foliage so the blossoms are all but invisible. This plant's relative, chenille plant, however, features these same catkins but they're much bigger, fuller and a rich red color. A sunny spot will bring out the best color, though coppers will grow in partial shade. 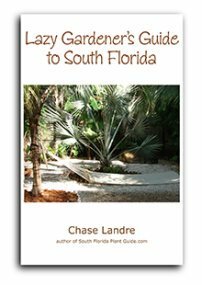 These plants are tropical by nature and do best in Zone 10. They're not strong, robust shrubs, so plant in an area sheltered from wind. Evergreen (though they can thin in winter) and moderately salt-tolerant, they're fast growers you can keep 3 to 5 feet. Add composted cow manure and top soil (or organic peat humus) to the hole when you plant. Trim occasionally for shape and height (do branch trimming rather than using hedge trimmers). 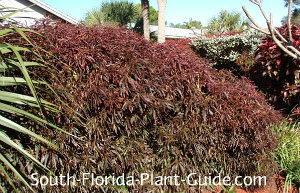 Give the plant a hard pruning in spring (late March or early April) for bushier growth and to keep it the size you want. Keep a regular watering schedule for these shrubs. If they stay too dry for too long they won't look their best and the resulting stress can invite pests. Plant 3 feet apart. Come out from the house 2-1/2 to 3 feet. 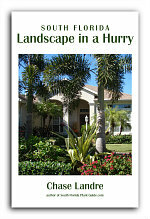 If you're planting along a driveway or walk, come in about 3 or 4 feet. Copperleaf plants will work fine in a container. 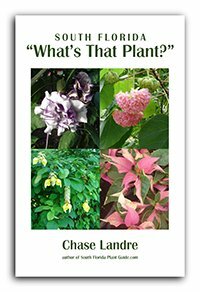 COMPANION PLANT SUGGESTIONS: Dwarf firebush, dwarf poinciana, Panama rose, dwarf allamanda, gold mound, liriope, and sweet potato vine.